ARMY PUBLIC SCHOOL RATNUCHAK, a co-educational institute was established on 01 july 1983, mainly for imparting quality education of Indian Armed Forces under the dynamic and valuable guidance of Brig Vinod Saighal as the first chairman of the school. The School at that time was up to 8th standard with the total strength of 100 students. 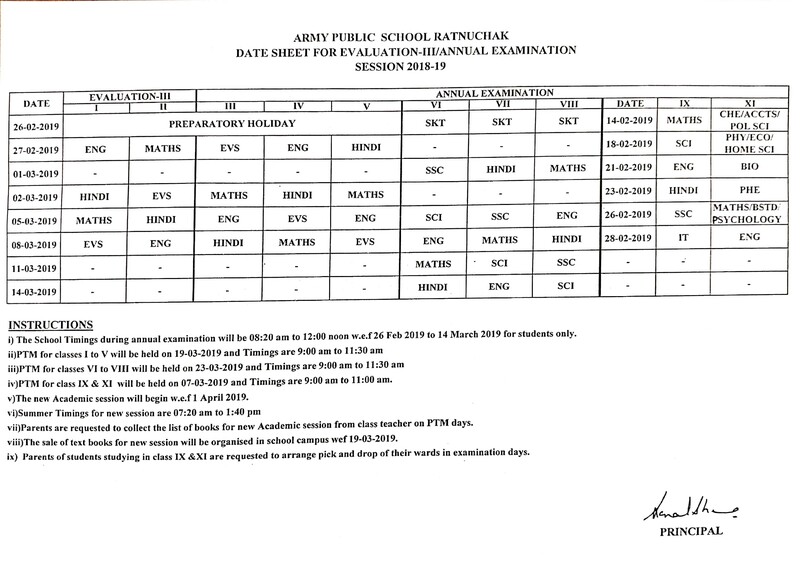 The school has the period privilege of being running under the aegis of Army Welfare Educational Society (AWES) since 1st of July 1983 and stands affiliated with Central Board of Secondary Education (CBSE) vide code no 730006. The hobble initiative at that time has transformed into a giant leap today. The School was upgraded to class 10th in 1987 and subsequently to class 12th in 1989. The temporary barracks and TR Huts of APSR was transformed into a presentable infrastructure with the changing scenario. This herculean task was accomplished within a record time. The strength of the school leaped from 100 students to 1500 students with the passage of time. 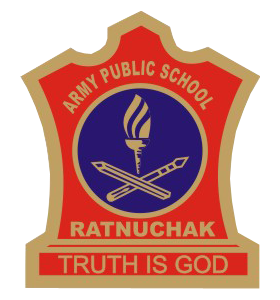 APSR has been re-designated as Army Public School Ratnuchak on 1st of July 2011 with classes upto 12th standard with a strength of 1500 students and embrace with a comfortable and presentable infrastructure and endeavor to adopt technical approach towards education. APSR upholds the AWES commitment to excel in all fields with emphasis on its motto. ‘In pursuit of excellence ‘. The School is among the most distinguished member of AWES and is a path breaker in its endeavor of integrating quality with quantity. The same is reflected in the pivotal roll, it has played in inspiring the children to be the contributive members of the human society. Life at APSR, centres on a share commitment to academic excellence, intellectual growth, art, esthetics high standards of ethical awareness sportsmanship and community service. The School tradition and accessibility to a broad curriculum add depth to each students life. 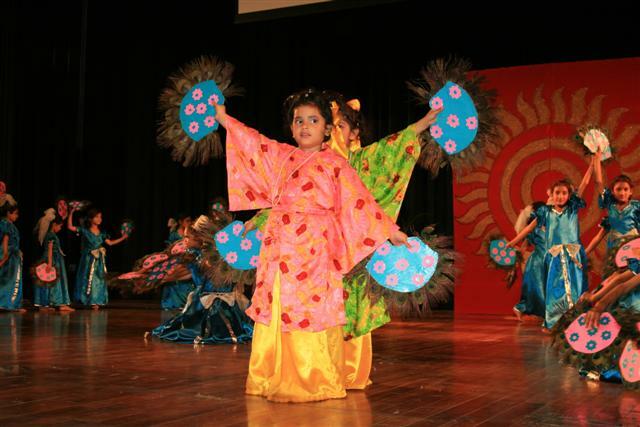 In the portals of APSR, our students discover their own talents and opportunity to develop them to the fullest. The School provides an invigorating and competitive atmosphere created by the excellent facilities and guidance provided by a highly qualified and dedicated faculty. The values which are ingrained help to promote confidence direction and critical thinking skills, leading to the development of well-adjusted, adaptable and integrated personalities. Besides being committed to academic excellence and providing education for all round development, APSR is committed in the appreciation of the worth of each students irrespective of any bar regarding privileged or under privileged population. These milestone have placed APSR on the forefront. There has been a continuity of purpose underlying the change and growth of the school. Over the years, the school has steadily reflected a spirit of innovation in response to the need of the hour and has broadened its educational mission by creating an academic environment that fosters close association and the exchange of ideas with most of the school under the aegis of AWES. The school has a vision to achieve academic excellence and provide a congenial atmosphere to the students, enabling them to excel in all spheres of life and thus helping them to grow under the well trained and highly motivated faculty. The school aims to help the students grow into healthy, happy and holistic global citizens of the world. It also aims to inculcate in the students ,a love for learning and a desire to excel at every level. The goal of the school is to equip the students with the intellectual and practical skills that are necessary to meet the challenges of today’s global society. In order to inculcate life skills beyond the classrooms, the students are encouraged to nurture group dynamics by interactions at various levels.